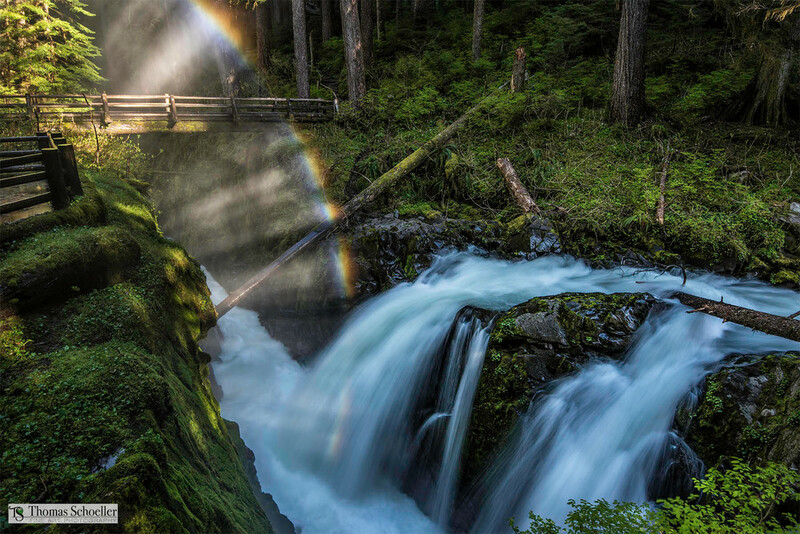 On a rare occasion deep within the rainforest of the Olympic Peninsula, a natural lighting phenomenon may occur when the moist atmospheric conditions are right and the seldom seen sun penetrates the treetop canopy of the rainforest. On this occasion, I drew a Royal Flush not only capturing the sun's beams in the mist but a colorful complete arc of a rainbow with the full spectrum of colors! I was able to capture several beautiful compositions during the very short duration of this rainbow arc, this one being in horizontal perspective.